Share the post "4 Major reasons why pharma companies should embrace cognitive chatbots"
In today’s business era, AI chatbots are redefining the way pharma companies interact and engage with their clients. These chatbots mimic human conversation via text or auditory means which is a huge opportunity for the pharma industry to have a one-to-one conversation with their customers, doctors, and patients. Apart from that, by using intelligent virtual assistants, pharmaceutical companies can build a strong relationship with doctors and patients by communicating with them and assisting them directly. The two main areas within this industry that will drastically benefit from developing a pharma chatbot are R&D and marketing. 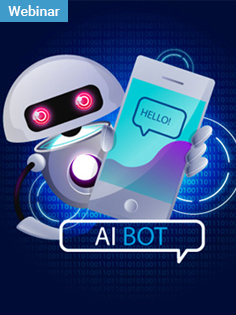 By developing a chatbot, a pharma company can have a virtual digital assistant to provide information to users on various topics, such as how to respond to inquiries on certain health conditions, a complex drug procedure, and the appropriate method of using a certain medical device. It also serves as a digital assistant to educate users about a specific disease, its treatment, side-effects and more. The AI-powered chatbot integrated into the CRM system of the company can automate some repetitive processes that a pharmaceutical sales representative is required to follow, such as sending reminders, setting up meetings with physicians, finding relevant information, sending push notifications, placing sample orders, and more. This means that using pharma chatbots will help sales reps in saving time and focusing on core tasks, and build personalized relationships with a large number of physicians. Traditionally pharma companies used to carry out customer service and inventory management manually. Nowadays, a chatbot is integrated into companies’ CRM (Customer relationship management) and ERP (enterprise resource planning) systems which helps in enhancing customer service to physicians/hospitals and automating the region-wise inventory management. Using chatbots, data inventory reports can be downloaded from the SAP system which is then imported into a data format, and the support staff is updated about the inventory of a particular region. Chatbots for pharma can be useful in promoting new medical products and diagnostic devices. The customers can use the pharma bot to ask queries, user manuals, demo, and product catalog whenever they need. Besides, chatbots store conversation data which can provide data-driven insights useful for planning marketing campaigns for new medical drugs or devices and identifying consumer behavior. Chatbots have indeed redefined the brand experience in the pharma industry. They don’t just serve as a customer support agent handling FAQs, surveys and questionnaires, but also help as sales reps selling personalized precision medicines and diagnostic devices to customers. 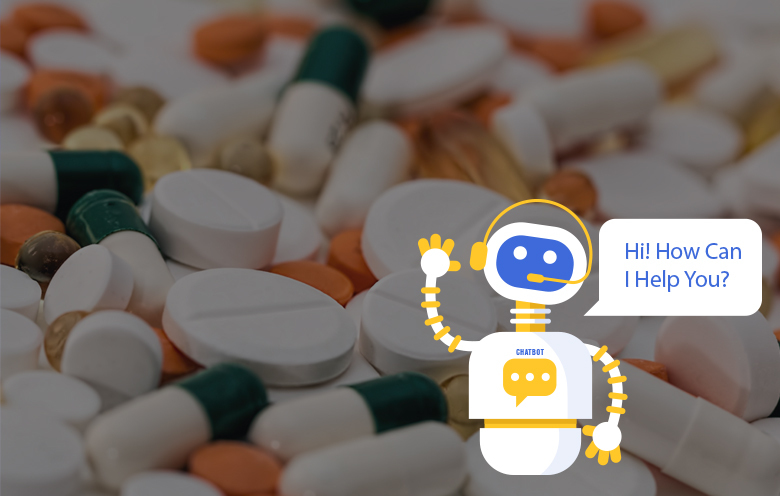 Moreover, building an AI-based pharma chatbot will also offer valuable insights which can be used to design effective bundling of brand offerings and associated medical services for each patient segment. If you want to know how chatbots can help in simplifying your business processes, then talk to our experts.